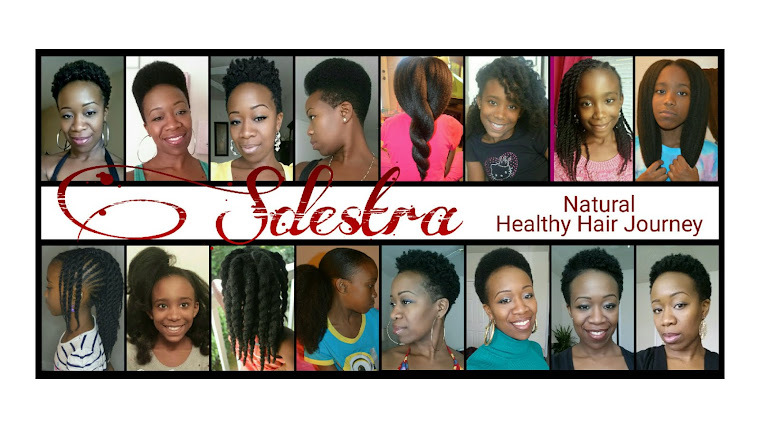 Where does your hair fall on the chart? People have different body types, long and short torsos too. I have a shorter torso than the length of my legs and I am 5'4. Although I am mid back length (MBL) at the fullest part of my hair, I am almost grazing waist length (WL) at the same time. For some one who is 6 feet tall, it may take longer for him/her to reach WL if we both started with bald heads and our hair grew at the same exact rate. While we're on WL, not many people know where their waist is, and it is around the navel area all the way around. Because everyone is shaped differently, determining where the waist can be challenging. For example, I do have curves and there is about a 15 inch difference between my waist and hip area. Before starting my hair journey, I always thought my waist was right above my hips...meaning it was around the bikini line. I was totally wrong because it was actually higher. 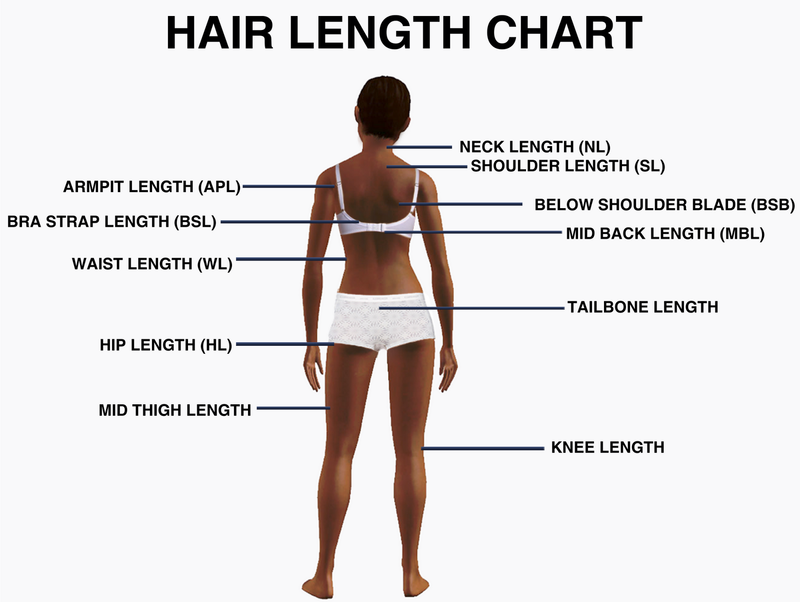 Being Bra Strap Length (BSL) seems to be an important landmark on your body. It's almost a mid point and a point where people feel if their hair is long or not. Either you're almost there or past it. I know many of us vary in size when it comes to our lovely lady lumps (breasts). 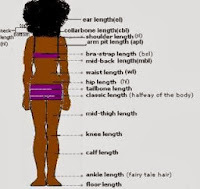 I have seen where women who are or claim bra strap length claim it improperly (in my opinion). Are you wearing the right bra? Is the bra fitting you properly? A person may have their bra sitting too low for their body and they are really BSL. A person may have their bra sitting too high for their body and they are not BSL. A person may ALSO have their bra on all wrong on their body and may be MBL...go figure? 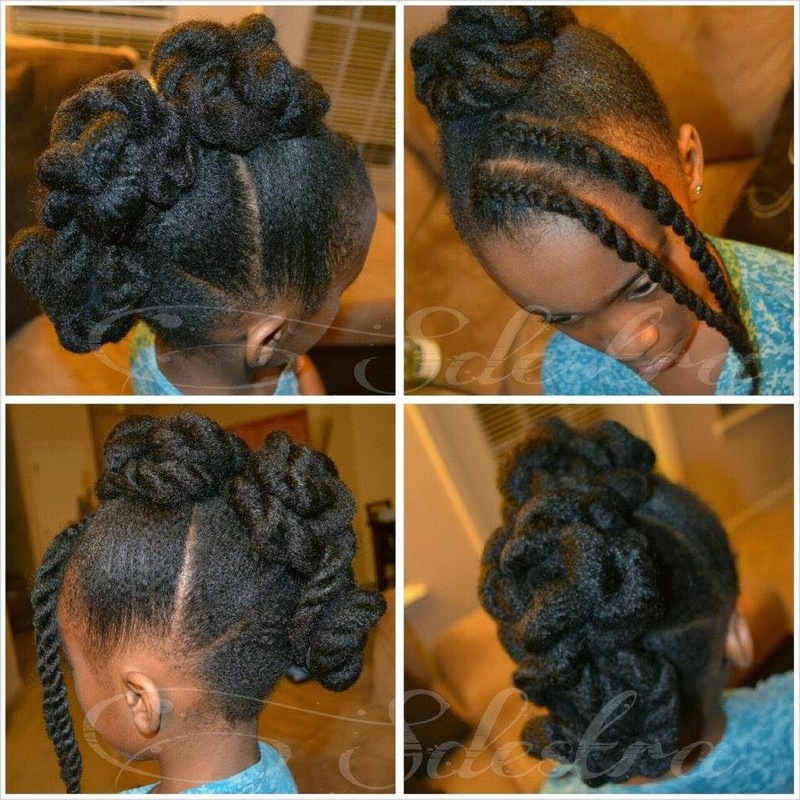 Don't look at someone else's hair length and expect to be at certain points they've reached at certain time lengths. (You will most likely disappoint yourself). Do you know where the different land marks fall on YOUR OWN body? 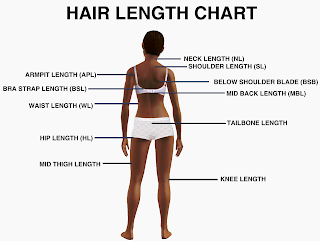 Consider your body shape and size; hair length landmarks will be relative to you. The average hair growth rate per month is about half an inch. This is AVERAGE. But some people will have a faster rate and others a slower rate like I do. What is your level of patience when it comes to meeting your own length goals? Happy Growing and we'll chat soon! For health reasons first, get fitted for the right bra for the right support. And if you're length conscious, it will make a difference as to what you really are with your hair too.